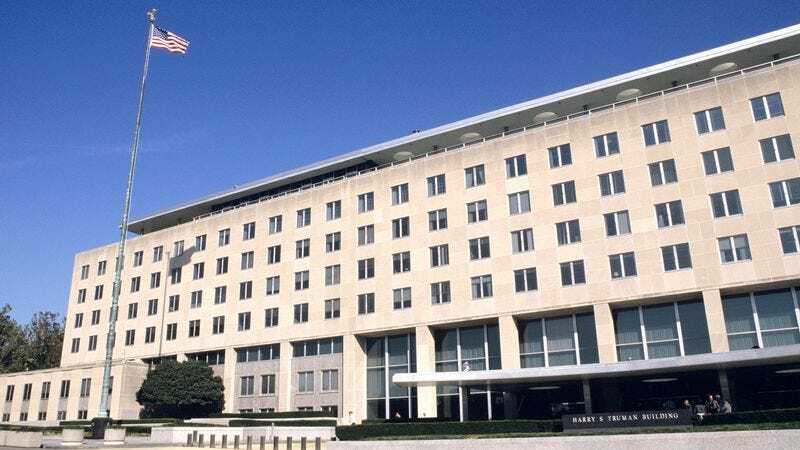 WASHINGTON—Saying they have had to deal with hundreds of new cases over the last few weeks, local D.C. authorities reported Friday that they are struggling to keep squatters out of empty State Department offices. “We’ve had to work around the clock to make sure nobody is sleeping or setting up camp in all the office space left vacant by departing State Department personnel,” said D.C. police spokesperson Eric Marshall, adding that 20 to 30 calls were coming in every day regarding transients who have moved into State Department headquarters, including homeless addicts seen injecting heroin on mattresses in one of the former diplomatic reception rooms. “Even when you don’t catch the squatters, you can see the hot plates, garbage, and sleeping bags in the hallways. And just last night, we had to chase out a bunch of teenagers who lit a bonfire in the lobby, not to mention all the stray cats that have pretty much sprayed urine on every conference room wall.” Marshall added that the city might have to consider condemning the building if conditions did not improve, which, at press time, the Trump administration had not objected to.